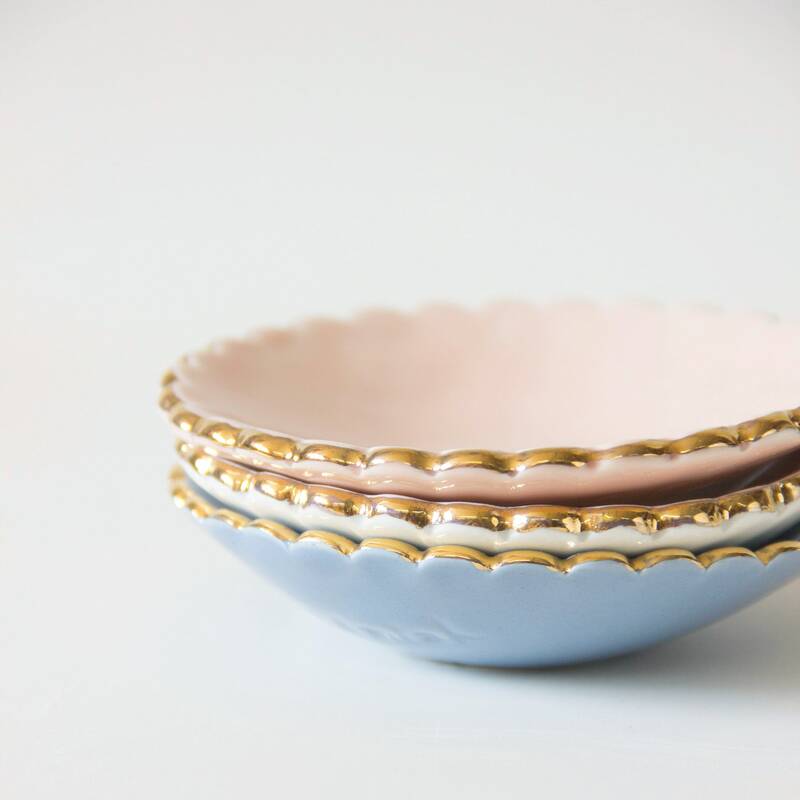 Sweet pastel porcelain dishes, handmade and finished with 18k gold trim. 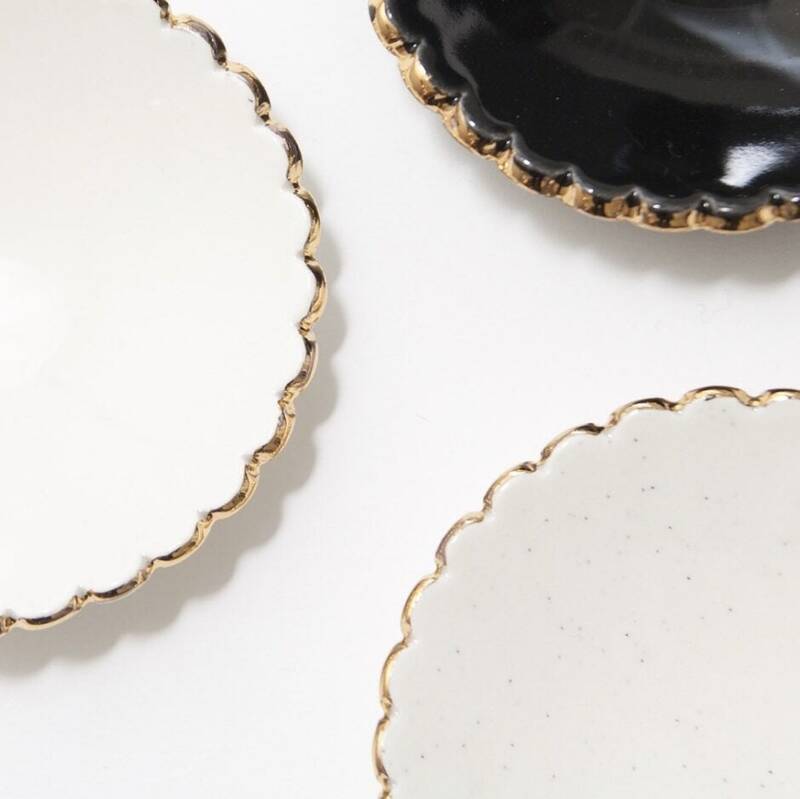 A perfect jewellery dish or side plate, or the new star of your desk. Mix and match a range of colours to build a collection. 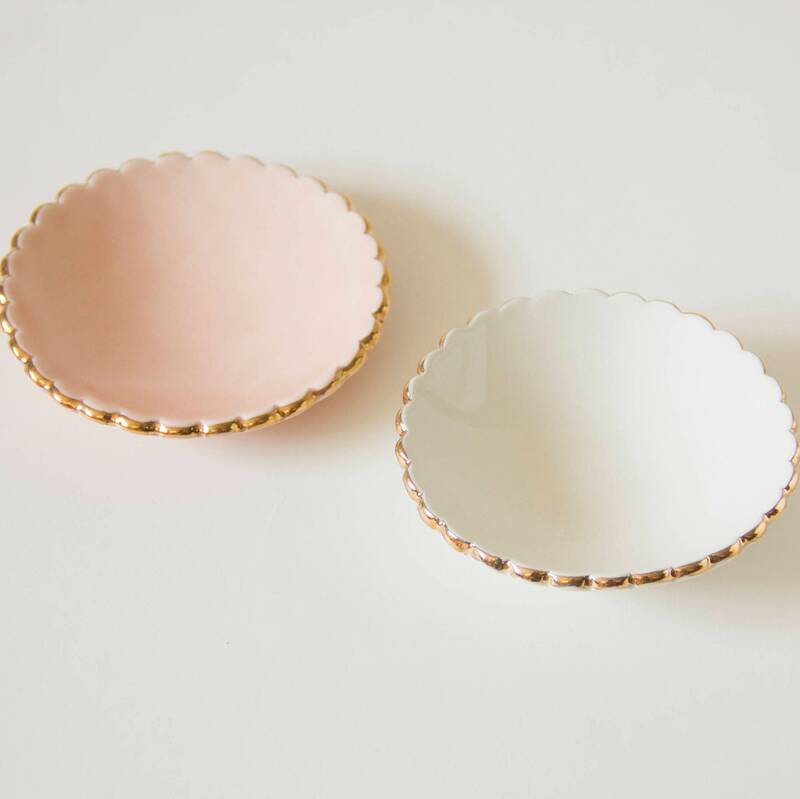 Great hostess, birthday, engagement & thank you gift. 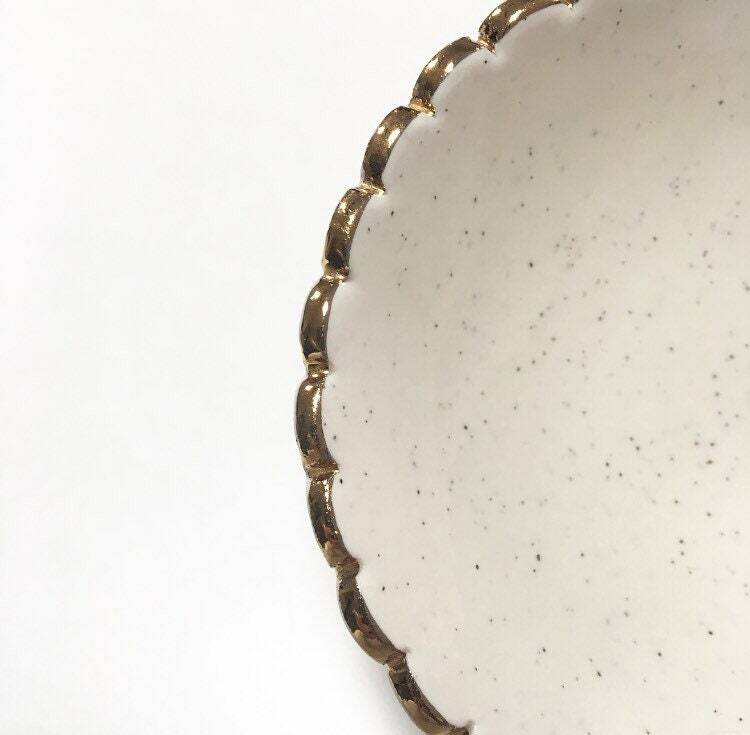 Handmade in Montreal, in a collaboration between Noémiah X Goye.